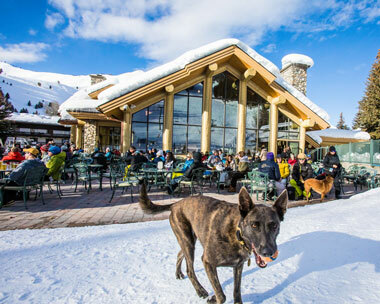 Spring has sprung, which means the 2018-19 winter season is winding down but gearing up with parties, live music, family activities and the annual Easter Egg Hunt in the Sun Valley Village. With a record-setting February and a solid winter, skiers and riders have two weeks left to enjoy Bald Mountain, with the last day of the season at River Run on Sunday, April 14 and Warm Springs on Sunday, April 21. The last weekend of the season will begin with the annual Easter Egg Hunt in the Sun Valley Village on Friday, April 19. With over 5,000 eggs, it is one of the largest and anticipated events each spring. Starting sharply at 5:00 pm, kids are grouped into zones based on age, so everyone will have a shot at filling their basket. The Easter Bunny is arriving around 5:15 pm for photos. After the egg hunt, kids can take a ride on the train, go skating at the outdoor ice rink, and get a glitter tattoo at The Toy Store. Live music by the Kim Stocking Band will start at 4:00 pm to start the fun. Admission is free for all events. Saturday is après ski at Warm Springs with Powder Steering playing from 2:00 pm – 5:00 pm on the outside stage. Easter brunch at the Sun Valley Club is on Sunday, April 21 from 9:00 am – 2:00 pm. The buffet will have all of the favorites from eggs benedict to brioche French toast, to full-service omelet stations and a chef-attended carving station. For reservations, please call 208.622.2919. Lounge on Fire will be stoking the festivities at Warm Springs on Sunday, April 21 from 2:00 pm – 5:00 pm. This last day of the season celebration will have beer tents and a barbeque on the patio. Costumes are optional but encouraged. Stay & Ski Free & Kids Ski Free! Your winter oasis awaits in Sun Valley. 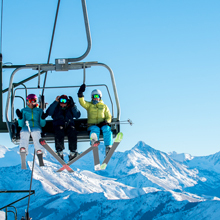 Stay at the Sun Valley Cottages, Sun Valley Lodge and Sun Valley Inn this winter and ski free! * One free kid’s lift ticket per one paid adult lift ticket with a three (3) night minimum stay. Availability is limited and restrictions apply. New reservations only. Talk to a spring planning specialist to book your vacation today! This spring, we have a jam-packed schedule of events here at Sun Valley—everything from family-friendly Easter activities to live music late into the night. Keep an eye on our Events Calendar for the most up-to-date schedule, or feel free to call our Guest Center at (208) 622-2135 for more information, questions, and tickets! Share your stoke with us! Tag with #sunvalleystoke to give us permission to publish and/or repost.